Predictions are dangerous things in baseball. If you're right, genius by default. Get it wrong and you've got to own it. By predicting a hopeless Spring Training for Blake Swihart, this writer ensured his unlikely success to break in to the Red Sox roster. As staff writer Evan Marinofsky speculated it's likely that Swihart could be chosen over Brock Holt or Deven Marrero. All stars seem to align yesterday when the Red Sox announced a move. 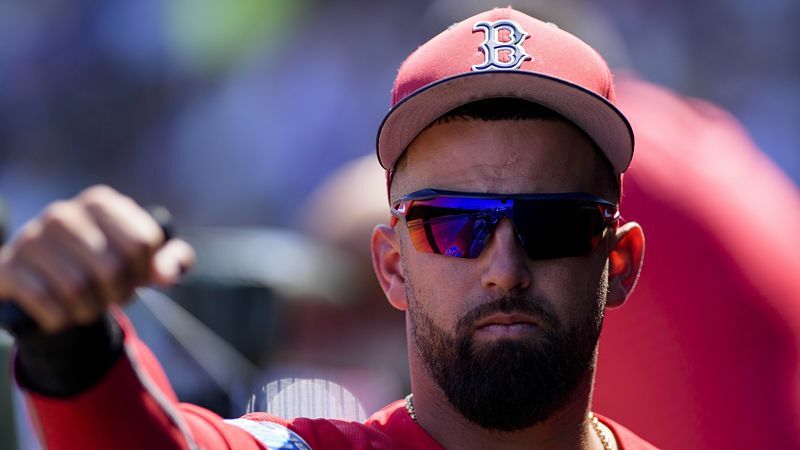 The #RedSox today traded infielder Deven Marrero to the Arizona Diamondbacks in exchange for a player to be named later or cash considerations. Swihart has hit his way on to the roster it would seem now that Marrero has been moved to the Diamondbacks. Next up was a move to secure the future of their backstop when the Red Sox signed Christian Vazquez to a three year deal, details which include bonuses in 2020 and 2021 bringing the salary up to $8 million contingent on 502 plate appearances. Terms of contract... Christian Vazquez will earn $2.85 million in 2019, $4.2 million in 2020, $6.25 million in 2021 with a club option in 2022 for $7 million ($250K buyout). Pawtucket starts to take shape as the Red Sox sent down Tzu-Wei Lin, Robby Scott and Roenis Elias. Dan Butler, Rusney Castillo, Ivan De Jesus Jr, and Aneury Tavarez were all sent over to minor league camp. Finally, in a quite move, the Red Sox picked up a minor league catcher. The #RedSox today acquired minor league catcher Michael Ohlman from the Texas Rangers in exchange for cash considerations. Steven Wright was handed down a 15 game suspension by MLB for violating the league's Domestic Violence Policy. He should make the roster and eligible to return on April 16 when the Red Sox face the Orioles. Manager Alex Cora looks to keep Brian Johnson in the starting rotation as he's been very effective all Spring. The remaining 36 players in spring camp shall be trimmed to the final 25 man roster by Thursday when the Red Sox play the Rays in their season opener.